In the western outskirts of Kyoto, tucked along the base of the Arashiyama Mountains (“Storm Mountains”), there’s the wonderful tourist district of Arashiyama-Sagano, famous for its many gorgeous temples and for its natural beauty. Besides the many attractions, here you’ll find pleasure just in strolling around and taking in whatever you fancy, from the gentle sound of the flowing river to the view of the forests that change colors with seasons. In the Heian Period aristocrats often came to this area of bamboo woods to enjoy the colored leaves or to go boating, and the landscape today is still reminiscent of that period. I’d like to show you my favorite attractions, but feel free to get a little lost along the way. Sometimes the most unexpected surprises end up becoming the highlight of your journey. Let’s start! 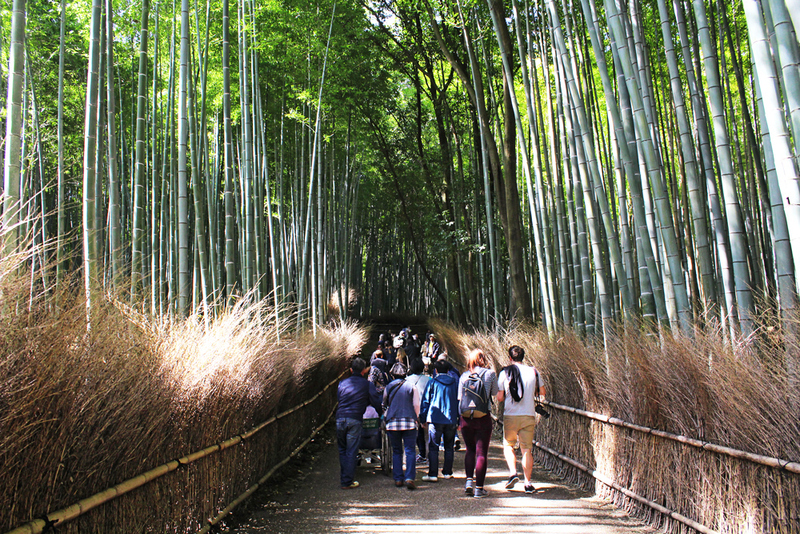 If you’ve been planning a trip to Kyoto, chances are you’ve probably already seen pictures of the stunning Arashiyama Bamboo Grove. If you are among those who click on articles with headlines like “Places To See Before You Die”, you’ve probably seen them too. This is one of the most photographed sights in the city, and for a good reason: standing amid these soaring stalks of bamboo is like being in another world. 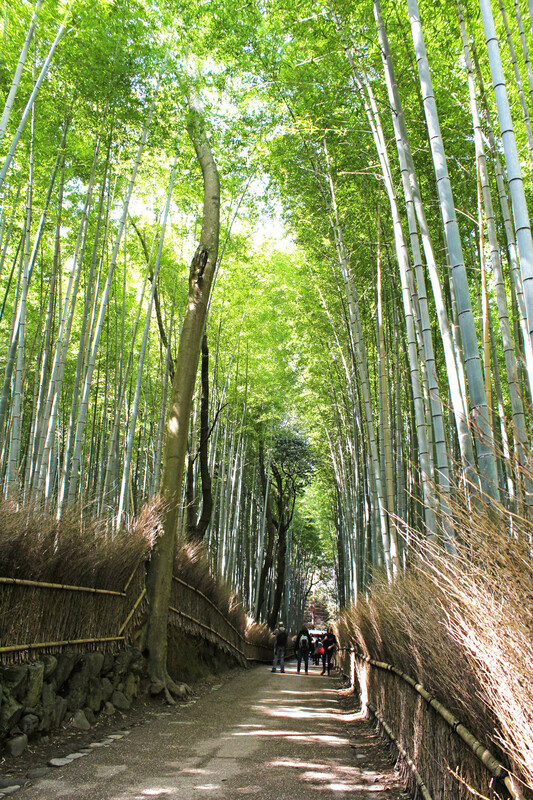 The tall bamboo trees create a natural tunnel to walk through, and the play of light and shadow along this serene path is a wonder to behold. A refreshing scent of clean, wet wood and damp earth perfumes the air. The sound of the wind moving through the bamboo is particularly distinct, so that it has been voted as one of the “one hundred must-be-preserved sounds of Japan” by the Japanese government. It’s simply unforgettable, and has become to the landmark experience of a trip to Kyoto. ….looks incredibly beautiful doesn’t it? 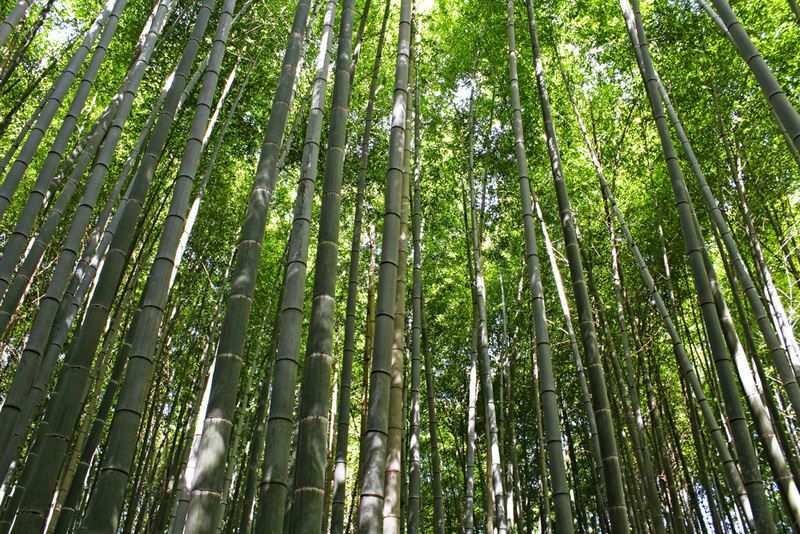 The Sagano Bamboo Forest is almost next to the lovely World Heritage site of Tenryu-ji Temple. 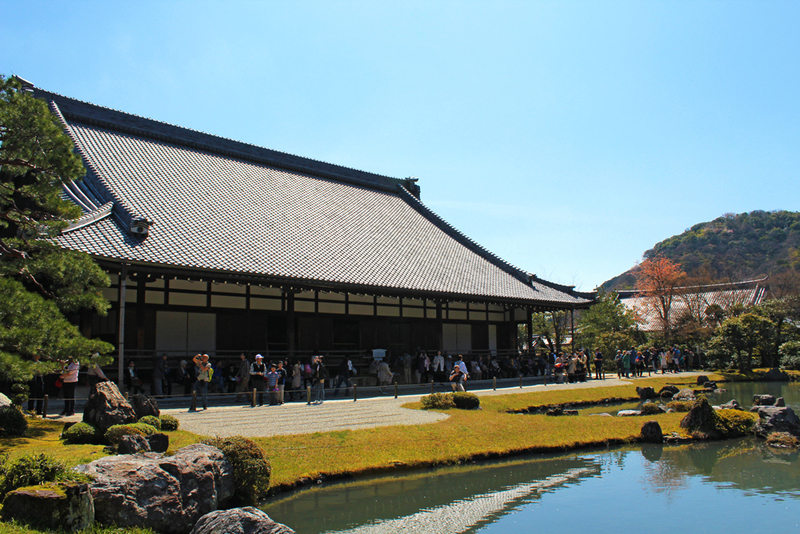 It was built in 1339 by Takauji Ashikag, the first Ashikaga shogun, and at its peak ranked as the largest Zen monastery in western Japan, with 120 sub-temples. The name Tenryu-ji means “Heavenly Dragon Temple” and it was built after a shogun who dreamed of a dragon rising from a nearby river, which was taken to mean that the deceased Emperor Go-Daigo was not resting peacefully. The temple with its garden was built to placate his spirit. 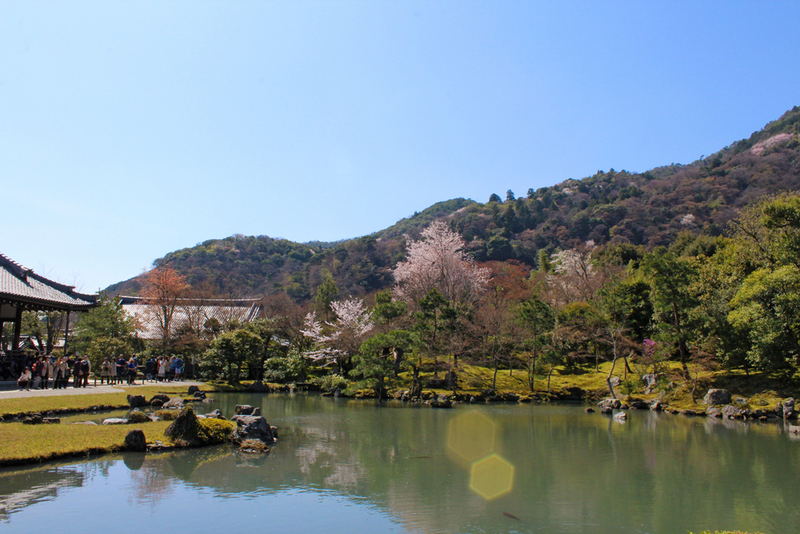 The temple’s exquisite pond garden dates back to the Heian period. 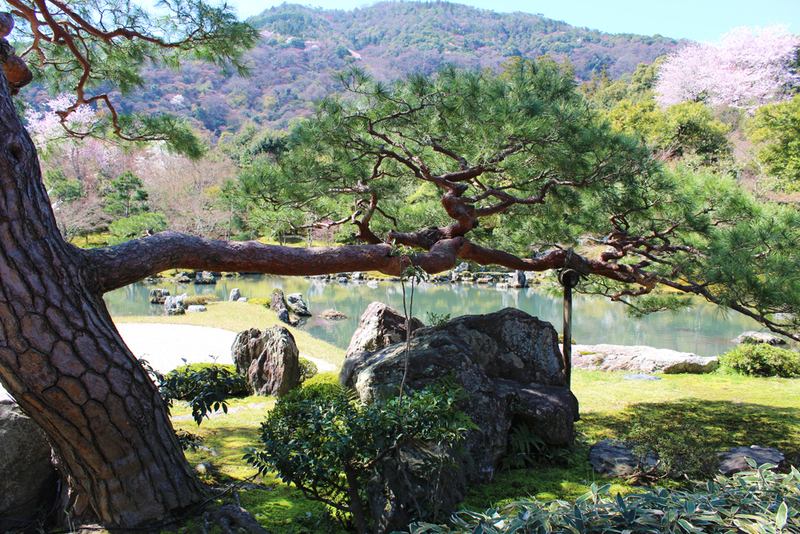 The current layout of the garden is the work of Muso Soseki, one of the most respected Zen monks of the 14th century. 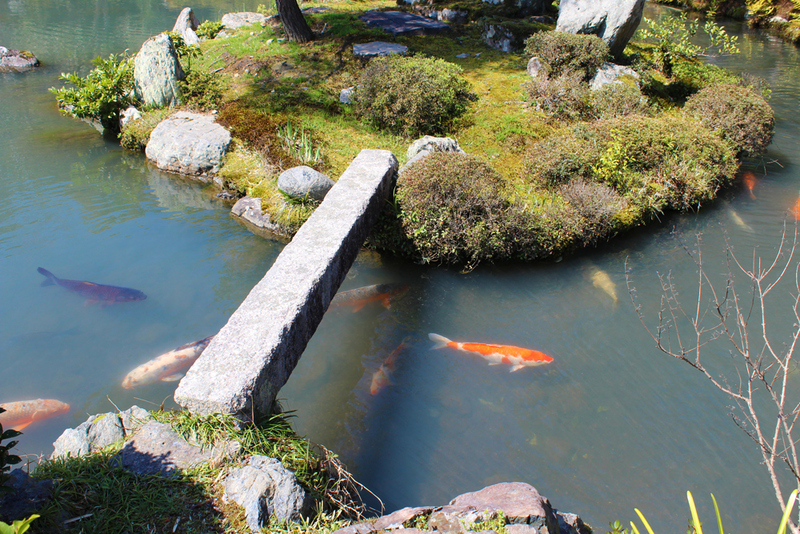 Here you will find every feature of Japanese landscape garden: paths of various types leading to gorgeous views, a brook, ponds with cute carps, waterfront plants, stones, bridges, lanterns, seasonal flowers and exotic trees. The pond is shaped like the Chinese character 心, “kokoro” in Japanese, which means enlightened Heart to Zen followers. If you’re traveling by train, you can take a JR train to Saga-Arashiyama and walk the 10 minute walk towards the river (just follow maps and signs). 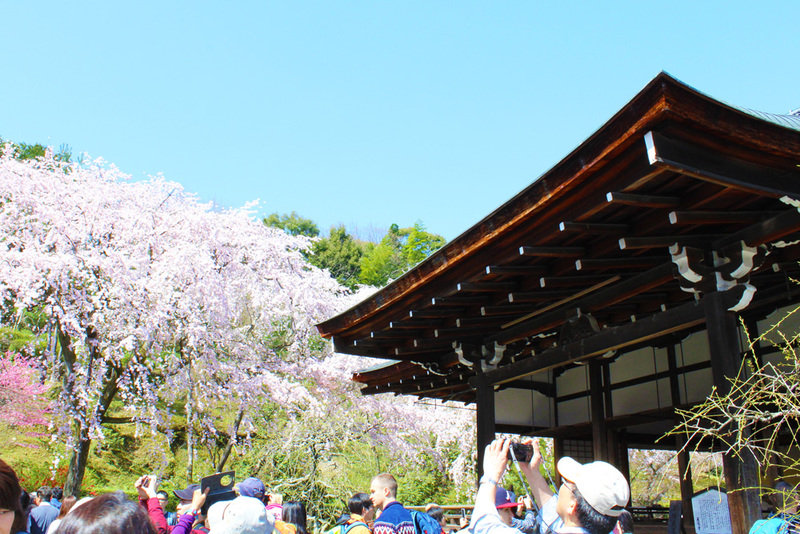 Alternatively, you can take a Keifuku train from Shijo Omiya, or Hankyu train to Arashiyama station (but you need to change at Katsura station) – this will take you to the mountain side of the river. You can also take bus number 28 to Arashiyama from Kyoto station. 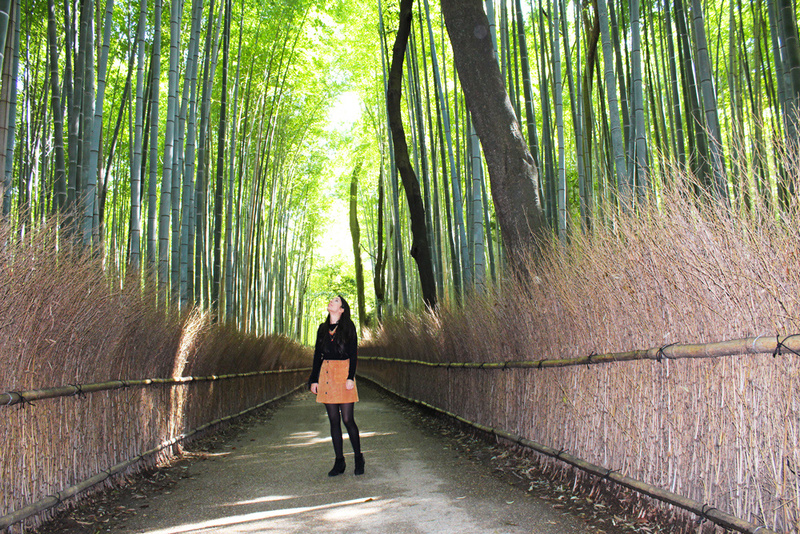 I hope you enjoyed the “walk” through Arashiyama!